Ferrari is delighted to announce a second world premiere in the year of its 70th Anniversary celebrations. The Ferrari Portofino is the new V8 GT set to dominate its segment thanks to a perfect combination of sportiness, elegance and on-board comfort. Powered by the Ferrari V8 turbo, a member of the engine family that won the overall International Engine of the Year Award in both 2016 and 2017, the new car punches out 600 cv and sprints from 0-200 km/h in just 10.8 seconds. 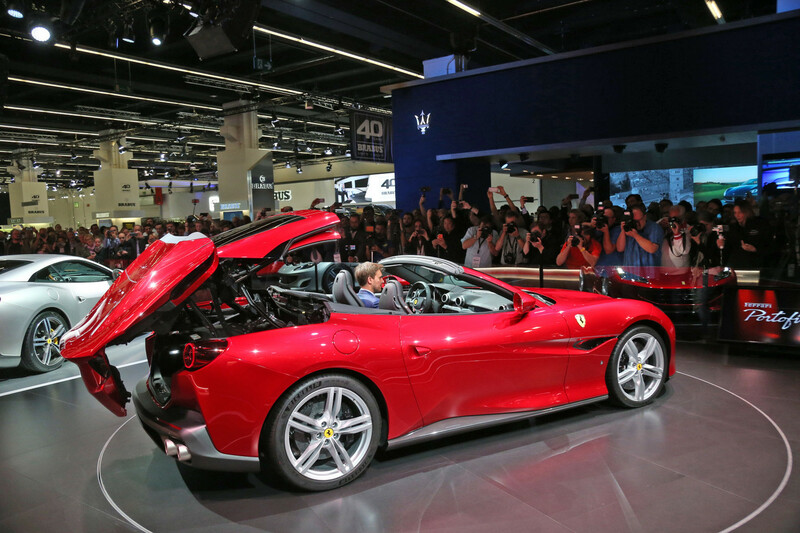 The Ferrari Portofino is, in fact, the most powerful convertible to simultaneously offer a retractable hard top, roomy boot and generous occupant space that also includes two rear seats for short trips. The new car takes its name from one of the most charming towns on the Ligurian Riviera, Portofino, which has, over the years, has become an international icon of elegance and exclusivity. The new model is also the most versatile model in the range – a Ferrari designed to be driven every day that also effortlessly converts from an authentic ‘berlinetta’ coupé to a drop-top in just 14 seconds, even when on the move at low speeds. A brilliant marriage of design, technological content and performance, it is the perfect car for any occasion. 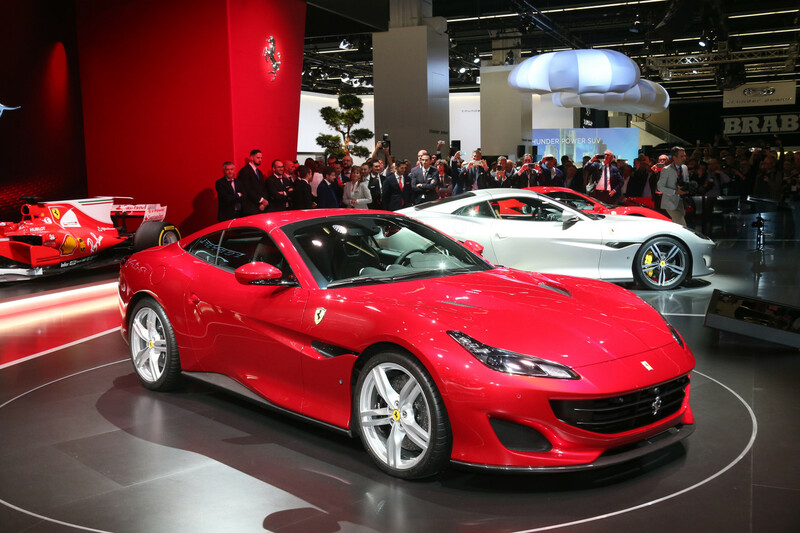 Two examples are being shown on the Ferrari stand at Frankfurt. The first is in the new Rosso Portofino colour inspired by the picturesque town the model pays homage to. The second has a matte Grigio Alluminio Opaco livery referencing the lightweight metal used to build the entire car. The two new Portofinos are flanked by the rest of the current Ferrari range: a GTC4Lusso in a Blu America livery, a 812 Superfast with new triple-layer grey paintwork from the Tailor Made programme, and the 488 GTB in glorious Rosso Formula 1. The 488 Spider is showcased instead in the Tailor Made area. The version on display celebrates the company’s 70th Anniversary with a livery inspired by the Pinin Farina-bodied 1954 Ferrari 500 Mondial spider once owned by Dominican gentleman driver Porfirio Rubirosa.